Enjoy Denver's upcoming grilled cheese fests. Gather to celebrate the delicious union of bread and cheese, just in time for comfort-food season. Tis the season to pack on the pounds for hibernation! Well, maybe not hibernation, but since it's predicted to be a cold winter, a couple extra layers of blubber can’t hurt, right? Denver has got you covered with perhaps the most comforting food festivals of all time solely devoted to ooey, gooey, grilled cheese! Yes, that staple of American quick, wonderful meals is making its debut in the Mile High City for not one but two different celebrations. Both feature unlimited tastings, an open bar, and VIP tickets. Each will also donate part of the proceeds to a local charity. The first of these melt-eriffic events is the Mile High Grilled Cheese and Beer Fest on Oct. 6. It’s a two-session extravaganza that offers unlimited bites from some of the city’s finest. More than 10 chefs will be putting their own spin on the cheesy classic, and there will be many beer samples for a pairing experience that’s not to be missed. The Mile High Grilled Cheese Fest is donating funds to Minds Matter of Denver, a charity organization committed to helping kids from low-income families get into college. 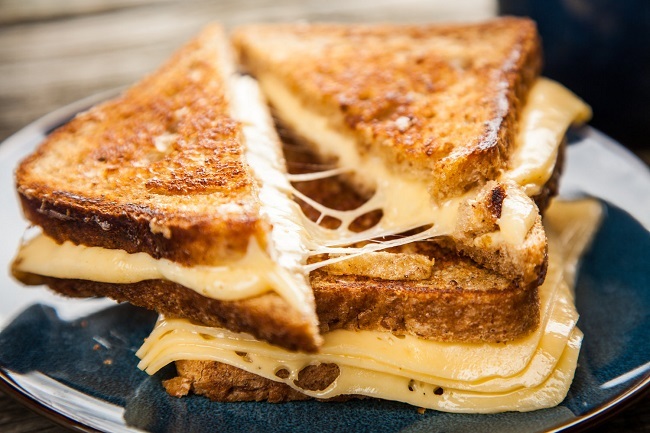 The second cheese-tastic event is the Denver Grilled Cheese Festival on November 14. Lovers of all cheese melted can sample decadent grilled creations by 16 participants. In addition, Oskar Blues, Odell Brewing, Briar Common, Ratio Beerworks, Stranahan’s Whiskey, and Whiteclaw will be on hand to help you wash down all the grilled goodness. This festival will donate to The Denver Grilled Cheese Fest will donate to Imagination Library of Denver, the local partner of Dolly Parton’s Imagination. What do you think? Too cheesy? Share your thoughts with us in the comments below. In other news, downtown's Old Spaghetti Factory is gonna become a mini-golf attraction.